The FIBER ARMCHAIR has been designed to balance maximum comfort with minimum space. The chair has been produced from an innovative bio-composite material that includes 25% wood fibres. 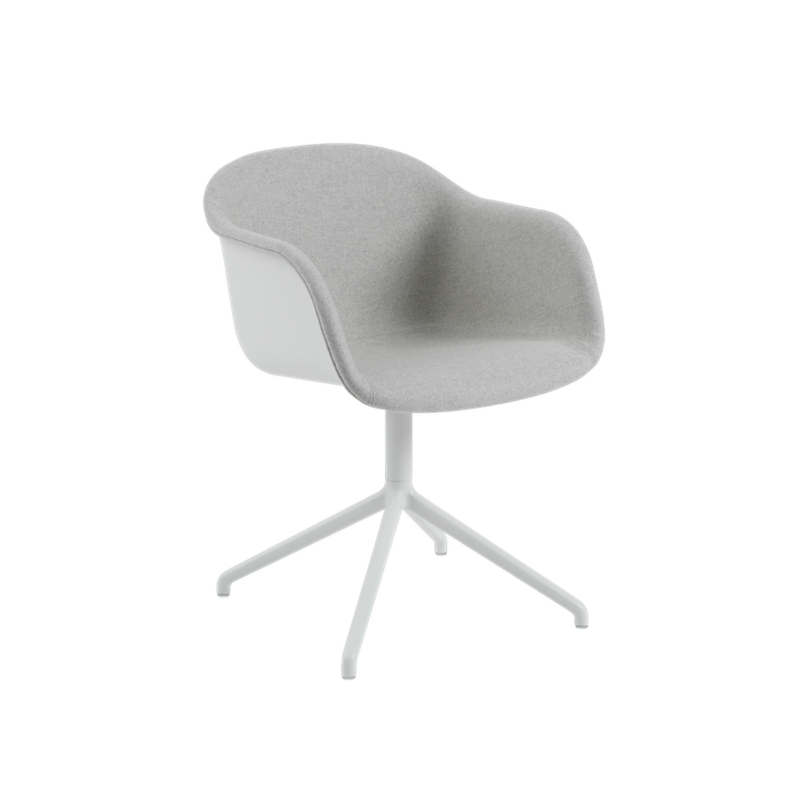 From a distance, the shell appears to be normal smooth plastic, however, when viewed up close the tiny pieces of the wooden fibres become apparent, giving the chair a whole new character. With the addition of four different bases, FIBER has flourished into a fully-fledged family of 39 chairs, confident of finding the ideal style to suit the individual home, office or other public setting. Shell in plastic composition with up to 25% wood fibers. Option of textile or leather upholstered seat. SwivelÂ baseÂ inÂ aluminum. ISKOS-BERLIN is a Copenhagen-based design duo that has made international headlines within furniture, industrial and graphic design. The studio, formerly known as Komplot Design, has collaborated with some of the world’s most prestigious manufacturers and their furniture, lighting and other design products are exhbited at numerous design museums around the world including MoMA and the Danish Design Museum.